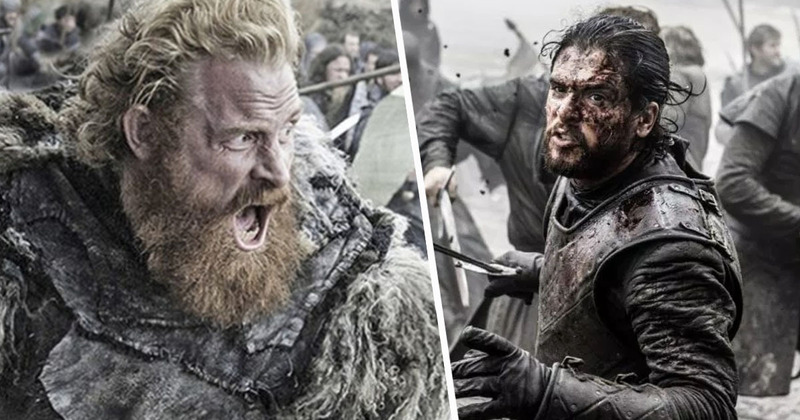 The final season of Game of Thrones is only weeks away, and fans are both excited and nervous to see how it all ends. Although the hit HBO series is based on the A Song of Ice and Fire saga of books written by George R.R. Martin, it caught up with the novels in April 2016 with season six’s episode The Red Woman. Showrunners D.B. Weiss and David Benioff then had the difficult challenge of writing the screenplay for the rest of the series with no guidance from the books, although they regularly had conversations with Martin. No one knows how season eight of Game of Thrones will end then, except for the cast and crew, as Martin is still in the process of writing the books. The 70-year-old author has famously struggled the past eight years writing The Winds of Winter, the sixth novel in the A Song of Ice and Fire saga. A seventh novel is also planned entitled A Dream of Spring. Although he is yet to finish the books, Martin has planned out the story, revealing a significant part of how it all ends to Weiss and Benioff. However, the author wants to surprise fans when the book is finally released, or should that be if it is ever released, revealing to Rolling Stone his saga will end differently to the show. I’ve been so slow with these books. The major points of the ending will be things I told them five or six years ago. But there may also be changes, and there’ll be a lot added. Let’s hope he finishes writing the books soon so readers can enjoy the ‘added’ details. In the same feature, actors Maisie Williams (Arya Stark) and Sophie Turner (Sansa Stark) revealed how they reacted to the show’s finale. I feel very satisfied with the ending of the entire show. Every story arc came to a really good close. After I read Season Eight, I watched Season One — there’s a lot of similarities. Turner meanwhile burst into tears, but admitted she does ‘cry at everything’. Once the credits roll for the final time, I’m sure she won’t be alone.